YBS wanted an intuitive way of giving out more mortgage agreements to first time buyers and converting more agreements to actual mortgages. Like all mortgage lenders, many customers apply for an agreement in principle in order to test the water or to put an offer in on their first home. More often than not, this doesn't tend to lead to the potential customer converting to a true mortgage customer. This is because the lender doesn't have an active conversation with the customer whilst they are househunting. Yorkshire Building Society sought an agency to come up with an intuitive way to get more customer conversations started and convert more engaged customers. 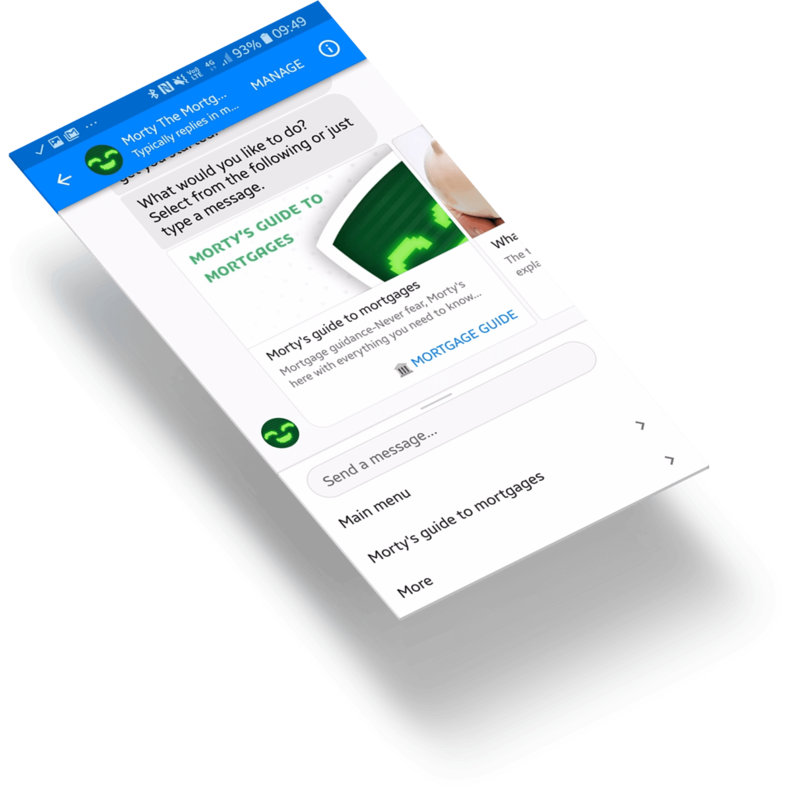 We created a Facebook chatbot which engaged the customer with all the information they needed about buying a house and also kept the customer engaged whilst finding their home. We kicked off the project with a Sprint week, to explore the problem and to look at the conversations that lenders have with potential customers. We also looked at ways that YBS can keep the customer engaged during the homebuying process. Our Sprint Week yielded Morty the Mortgage Bot - a chatbot prototype. Morty answered common questions about the mortgage and homebuying process. The bot also gave clever suggestions which the customer might not have thought about such as saving a little extra for their legal fees. Once we had our prototype we worked with YBS to test the chatbot on the streets of Leeds with millenials who were the target demographic. We found the customer base very receptive and with a few tweaks we had the scope of a full solution. One of the things that didn't make the cut from the prototype was the name. We dropped 'Morty' and instead opted for a gender neutral robot. To help convert more customers to full mortgages, the mortgage bot also helps the customer find their ideal home. It does this by being their personal assistant and searching the Zoopla API every day for properties that match their search criteria. 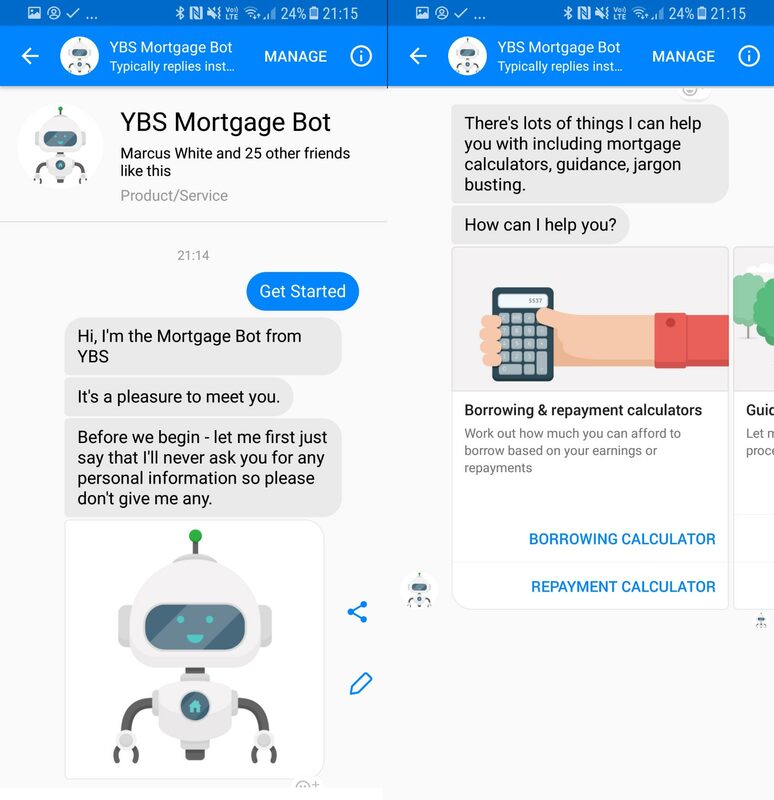 By asking a few simple questions about affordability, location and home requirements the mortgage bot actively sends messages to the Facebook messenger conversation. The message details properties which the customer might be interested in and actively keeps the conversation open with the customer. We've also thrashed out some other ideas with YBS including Squirrel. A savings app aimed at millenials. We worked with Eden to help shape and develop a financial services based chatbot. Eden were able to demonstrate a thorough technical knowledge of the chatbot ecosystem and the financial services market. Due to Eden’s expertise in this area and their innovative use of the Eden Agency Sprint Week, we were able to deliver a working prototype within one week which helped demonstrate future capabilities to the business. Furthermore, they are a fantastic bunch of people to work with.